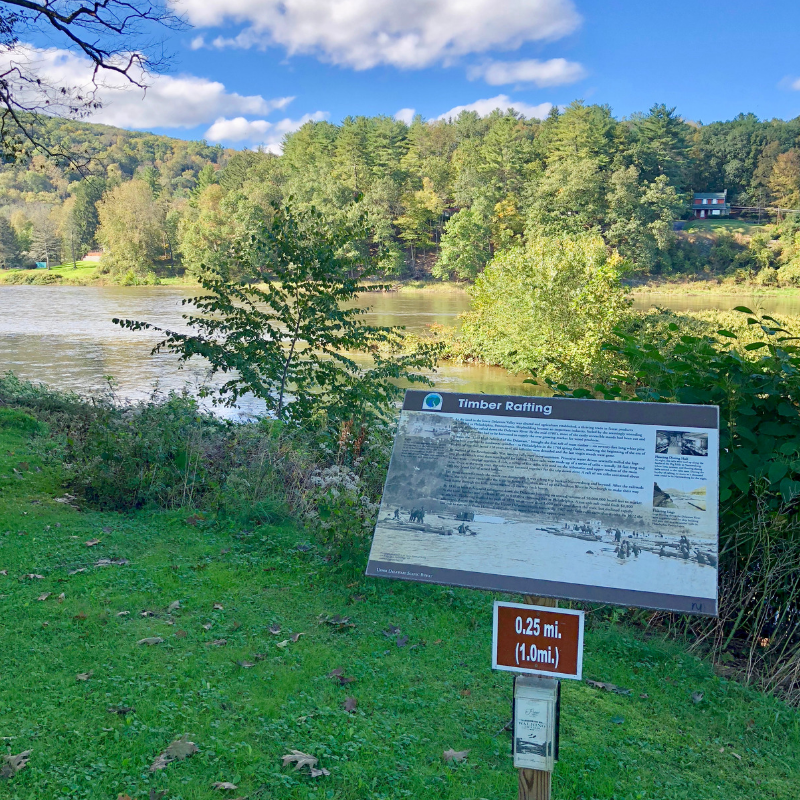 Three unique village trails totaling 2.5 miles. 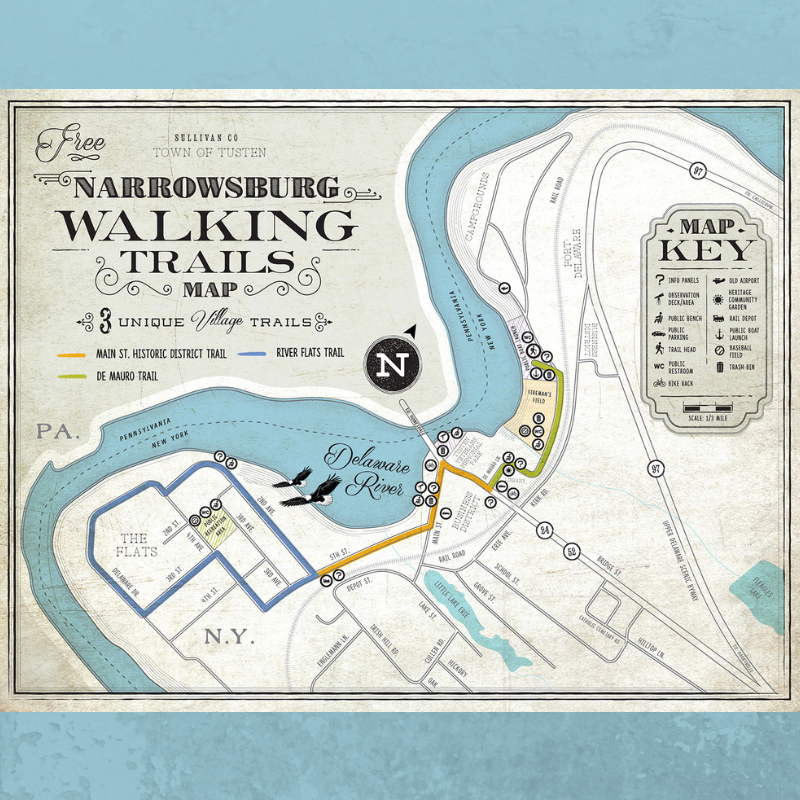 Walk the De Mauro Trail through Historic Main Street down to the River Flats Trail. Pick up at map at one of the info panels throughout town.